The dams might be more than half full, but we’re not out of the water yet (so to speak). Even if the crisis is completely resolved it’s going to be a while before Capetonians fully trust water availability. The water here is a little like Eskom in that way. If you felt like the drought wasn’t important to anybody outside of the Cape, you’ll be happy to know that the world was, actually, watching. The United Nations Educational, Scientific and Cultural Organisation (Unesco) has unveiled the trailer for their documentary WaterWise, and Cape Town was the inspiration. According to EWN, the doccie focuses on how the world is poised on the brink of massive changes in how water is used and valued. SOSNPO, a South African water NPO, joined the line-up of prestigious directors for the groundbreaking documentary. The NPO aims to improve water equity within communities, primarily focusing on sanitation and hygiene in schools, by providing sustainable water solutions through partnerships with businesses and other organisations. 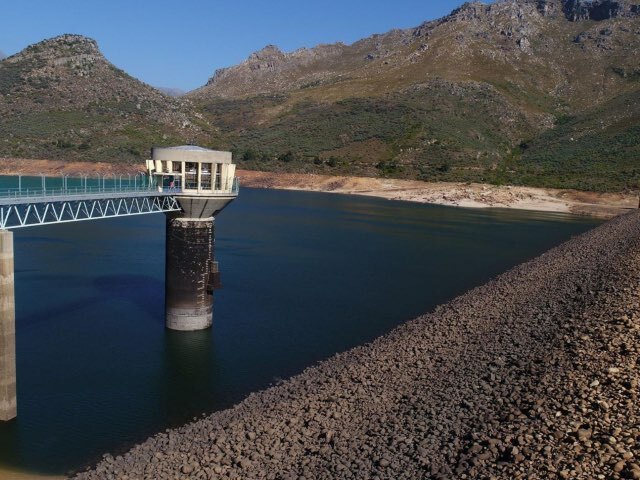 The organisation’s Shelley Humphreys said the Cape Town water crisis was instrumental in the coming together of the documentary. Look out for the documentary towards the end of the year, by which point we may have both reliable water and power. OK, one out of two isn’t bad.